I see Salad is on fire, he is relentless. with posts and trades. I dont have time to post charts today. I closed my gold position from 1741 at 1748 ( I was staying on a loss for a few days) . I entered gold again close to 50DMA, at 1712…. Miners about the same time. I guess Salad covered the direction with charts and meaning. I dont like how USD behaves but the SPY looks like it is close to go over the 200 DMA, so we will know shortly if the next few days are rewarding for the patient trader. Entries: are you patient enough to get your entry point? It does not matter how do you decide, what system you follow, bu this is a must. OOOhh this covers the first principle: buy low and sell high. BUY LOW AND SELL HIGH. Is this easy? Think about it? Is your mind trained to do this? If not, then what you gonna do about it? Exists: you need to sell high: Where is high? A good principle is to follow the Salad principle: Sell when they cheer. Think if you can do that. Risk management: If entries and exists are hard, let me tell you this is the hard stuff. Most of the experienced traders will say they are able to come out unscratched even if the entry was really bad. Why? Because they understand risk management. — position management. Depending on your capital and greed level, this may save you or break you. Do you know how to do this? — are you able to let it go? meaning, you have a bad entry, the price comes to your level, close but not quite there, are you able to get out with just a small loss when you feel you are on the bad side? — stops, do you use them? on the long side you have the Fed on your back, on the sell side you have time speed. Think hard about this? Can you use a time stop? Do you have a stop to get out? How is this based? On levels, trendlines or what? This is important, because it is the barrier between you and everybody else who wants your money on the market. How do you calculate the stop level? — cool head: Do you have patience and can you be cold enough to follow your system and rules? — does it look easy or hard when you enter a position? How do you define yourself as a trader? Can you? Some of the traders on the Internet blogs are cowboy traders, they shoot from the hip and wait to see the results. day traders with different expertise. swing traders: I am 25% here too. Not more than that because I fell at this stage I am going mostly on the long side. So not a real swing for me. pattern traders. This works more than you know. But it needs a special system to find patterns and a lot of study. Bull or short? Can you do both? Really? Day or middle/long term trader? Why? How is your personality copping with this? From Chop Chop we got a bearish week behind us. The Turkey gods did not help the bulls last week and the $ had to be brought down by Central bankers from all over the world. Of course being a bull today felt good, but I still had the same sensation in my stomach as during the flash crash last year. This whole intervention thing feels bad from multiple points of view but then again, what they are supposed to do, to let the whole house of cards just fall down ? Think very hard about this, what are their choices? On 2D, the $ has the same problems. 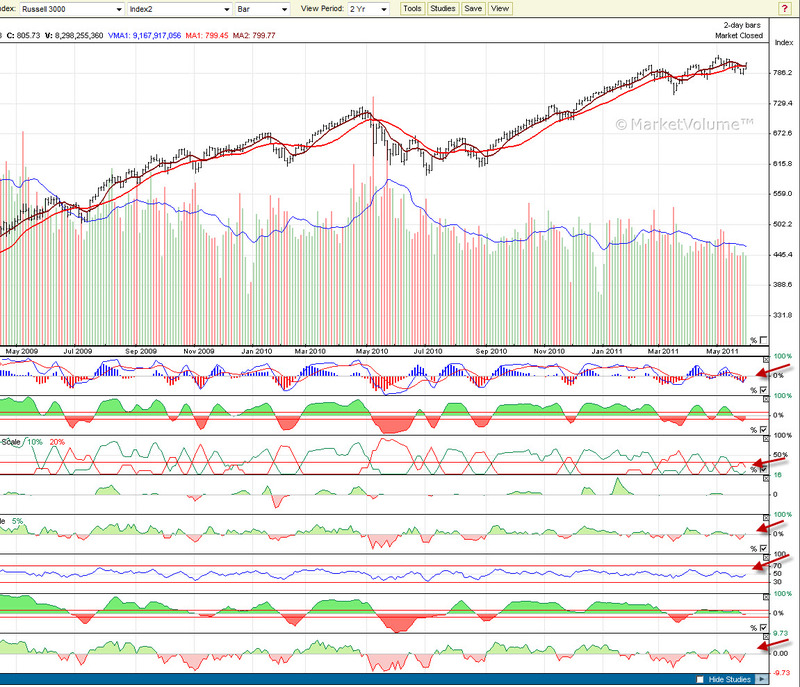 We need to wait a day or 2 before we will know if the oscillator volume accumulation will be eliminated or increased. So, for the $, we may have a start of a bearish cycle but not quite there. On 60 min, the RUA is in a nice bull, once the MVO starts to fall, then we have our first warning. 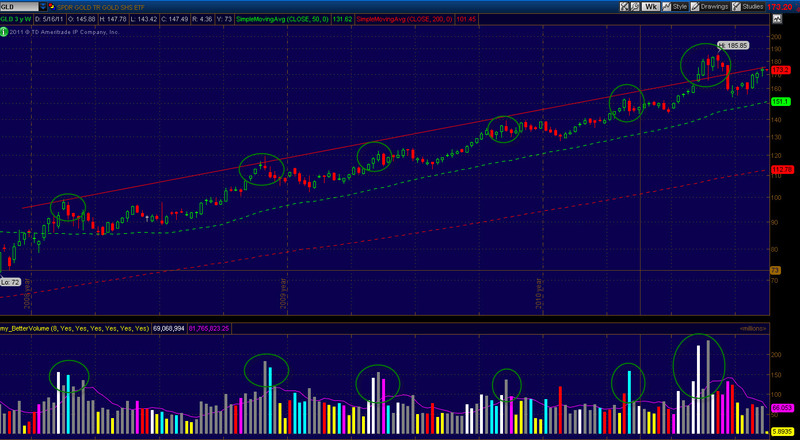 As you can see, on dailies, the osc did not pass to the upside yet. Maybe in a day or 2 we will have a better picture, but not yet. WE have a start of a bullish cycle, based on buy volume and hist pass on ST and LT.
Gold 1D (HUI) gives a better picture about the start of a new bull cycle. 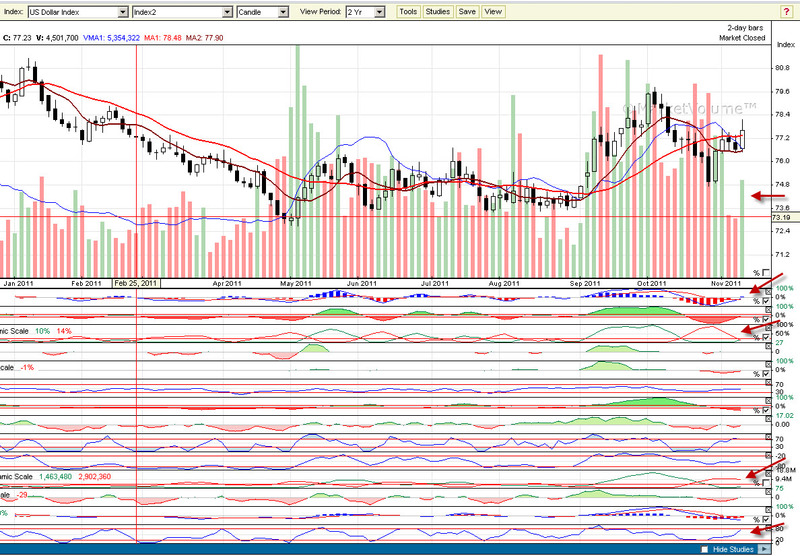 The buy volume bar today was good and the sentiment is pointing UP. 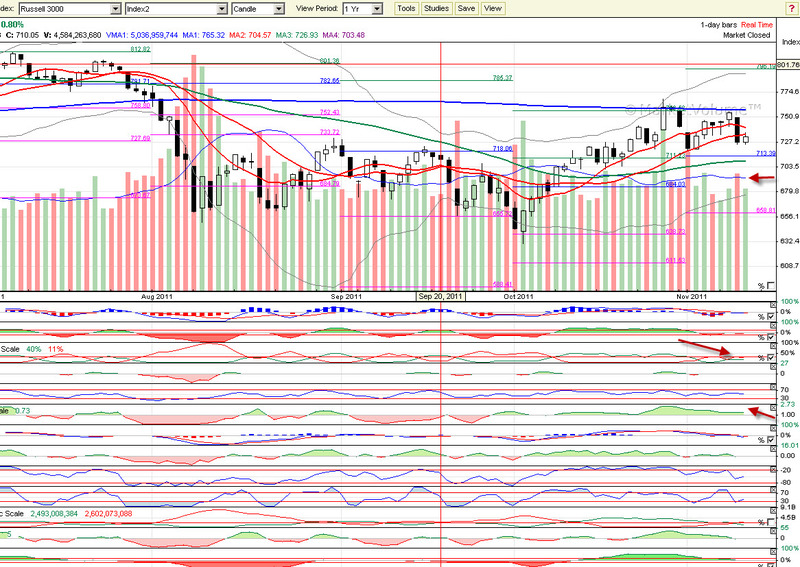 On 2D, HUI has a start of a new MVO bull, the hist looks like it wants to go towards the bull side. 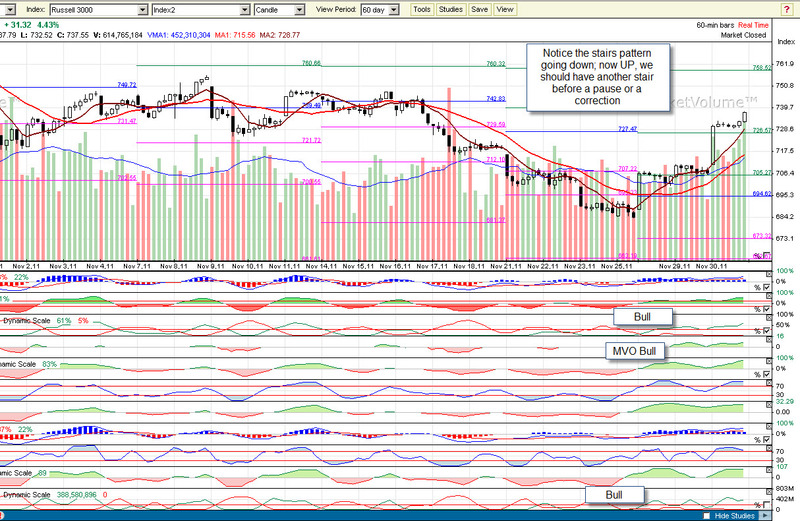 The sentiment points UP from oversold. Gld, has almost the same structure as HUI. My take is that we are close to the start of a new bull on RUA , gold and miners. The only thing that is missing, the $ bear cycle is not clear yet. The bulls have on their side the whole central bankers policy and seasonality. The bears have on their side the stinky fundamentals. Let’s not get carried away with politics and stick to the price and volumes. 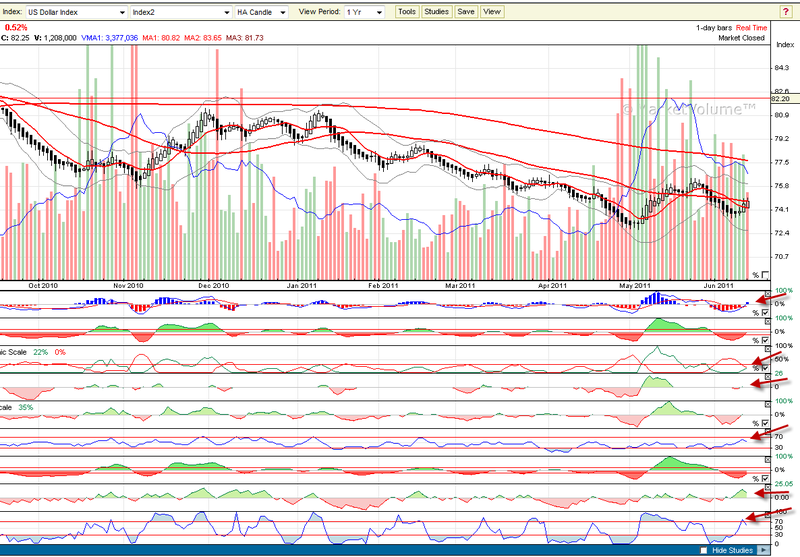 Based on the intervention we should have a higher high than here and then maybe a clearer picture in a day or 2. 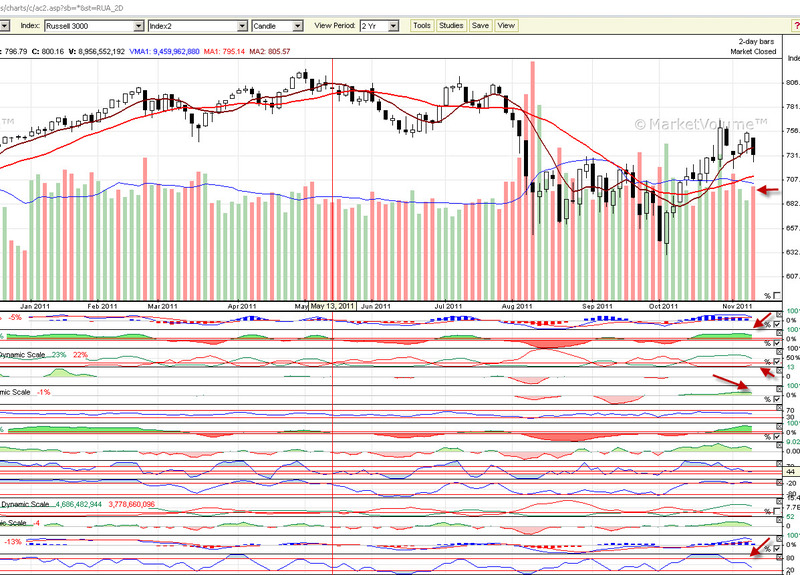 For spx, the 200MA is at 1265, close enough to have a run in the next days. Can this rally be sustained until the end of December? We dont know yet and for sure the volumes are not supporting this theory yet. We have a start for a bull cycle today, but given the intervention and the last week pattern (with half days) the volumes may paint a picture not entirely true. 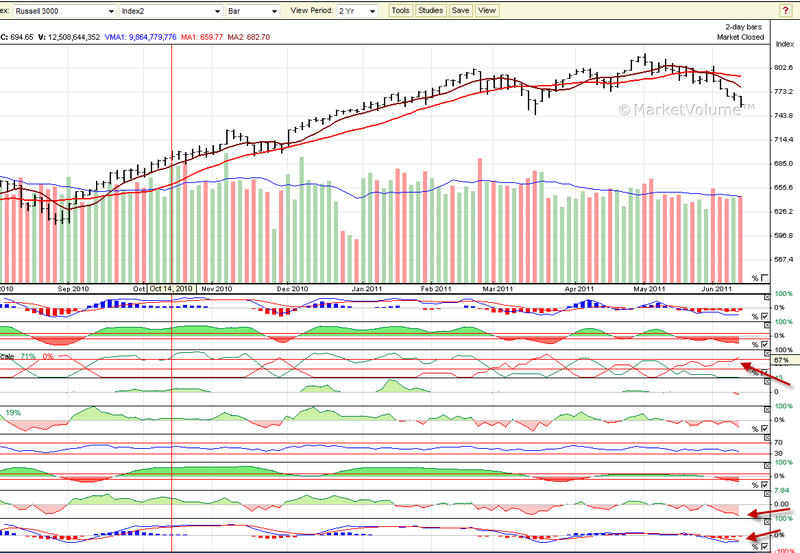 We got very high very fast, so a small correction is in the cards in about 1-2 days. This is what I expect. 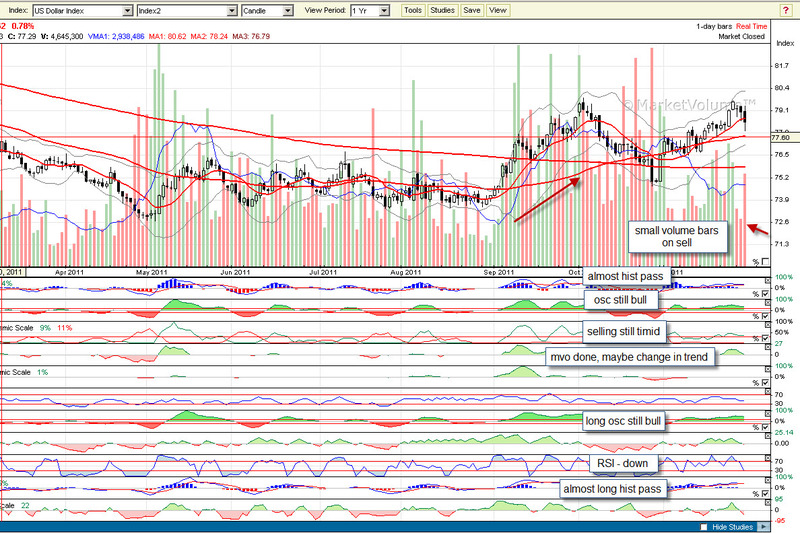 Then if the volumes suport, a new bull position may be started. For now I have gold and gold miners…. In the last few days we saw that the market is not safe. It is in a chop chop zone, maybe because everybody including me is expecting the turkey to rally. And we know the market does the most expected thing in the most unexpected way. During the week, I watch Seinfeld during dinner time. There is this episode where George decides to act contrary to his beliefs. Meaning everything he thinks is right, it is wrong and viceversa. And with this change, a lot of succesful and funny events happens to him. Of course this is only a comedy show but my point is, when something in the market looks like it is easy or the right thing to happen, maybe one needs to be humble. And we know when we need to be humble: when others cheer. Is somebody cheering now? It does not look like it, but there is nobody crying either. So chop – chop. selling volume elevated but not increasing, selling in the background ? Based on RUA2D and $ 1D and 2D, my take is that the market will make a small dip and a small rally will start. 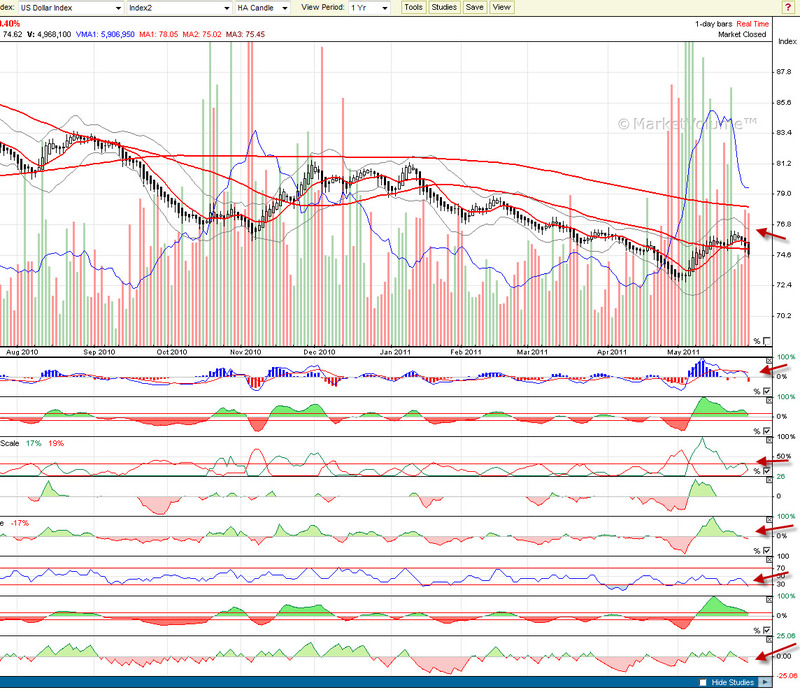 The selling volume on 2D is still elevated but not increasing. The history is about to cross over on the RUA2D. The last week support of 1225 or the 50DMA (I think these 2 will colide in the next day or 2) is still a good target to buy spx. The GLD 2D is still bullish, the only thing negative is the sentiment (chart not shown). 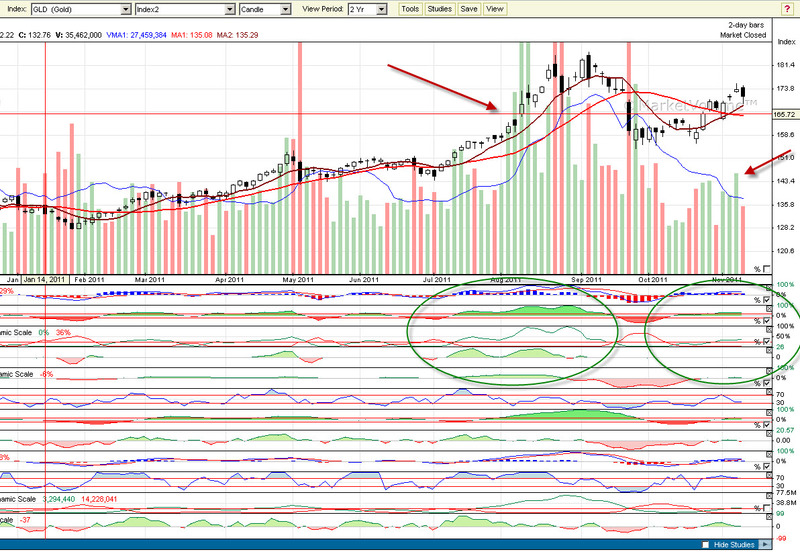 Look at the gold weekly chart (above). The TL stopped the move every time in the past (well almost every time). Look at the volume when that TL was hit. The volume was huge, there was a lot of SOS. Now we dont have that yet. So we are in a chop chop zone for now. Even when we went over the TL, (to go to 2000) a huge volume was printed. I think for now, depending on the $ moves, we may have a dip, but based on volume analysis, the dip will be bought. I am prepared to do so. If the gold volume increases in the next 2-3 days or next week, we will need to see what the volumes are telling us, but for now gold looks like it is playing with time. Miners, we know are between RUA and Gold, so we may have a fast dip based on the RUA, but if the Gold does not fall, the miners are still a good bet on the UPside. Hold your positions or do some position management. I left the blogging scene in June because I felt I need to, not only to learn, but to internalize this type of analysis. Salad wanted to help me but I felt nobody can help me on the market, but me. open a paper account, do trading there and no money trading until comfortable with trading related to volume analysis. I did this and after a few days it hit me: all this time I was trading with the fear that I will lose the train. So I stopped any type of real money trading. I started paper trading and after 2-3 weeks , even on paper, the loses started to accumulate, not many but hey, it is paper, how can I lose even on paper? So, I started thinking about how to trade, risk management and what to trade. I reset the account (on paper you can reset the account and start again, lol) , I started again from scratch and I told myself , no trades until the market is safe. Somebody at work told me it is easy to make money in the market, all you need to do is buy low and sell high. I almost died of laughing. Imagine the irony, buy low and sell high, this guy knew the secret to success. But think about it, besides the irony of somebody with no clue about trading to tell you this big secret. How can you buy low and sell high? Is there such a thing? Or is this a joke? As anybody knows by now, gold is in bull market, oil looks like it is in a second bull, stocks are somehow in a bear market but with Benny on the helm, we may be in a bull or in a bear market. As for the economy, we are in a low tide environment. The stock market is not safe, if you are long, you should have trimmed positions today or maybe tomorrow. We saw on the 1D chart, somebody is still buying, so you may be lucky. But if luck is needed, then think long and hard about your attitude. 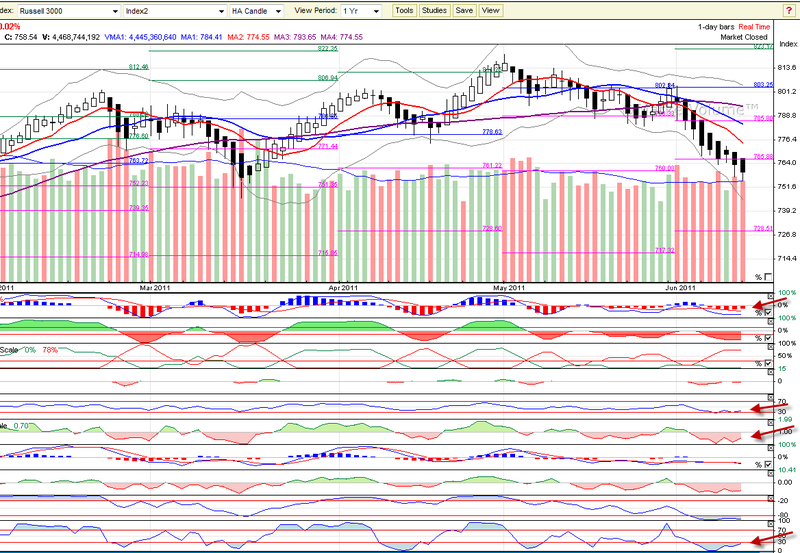 The $, is close to start a new bull cycle on the 1D and on 2D. If this happens, presure will be on stocks to the downside. 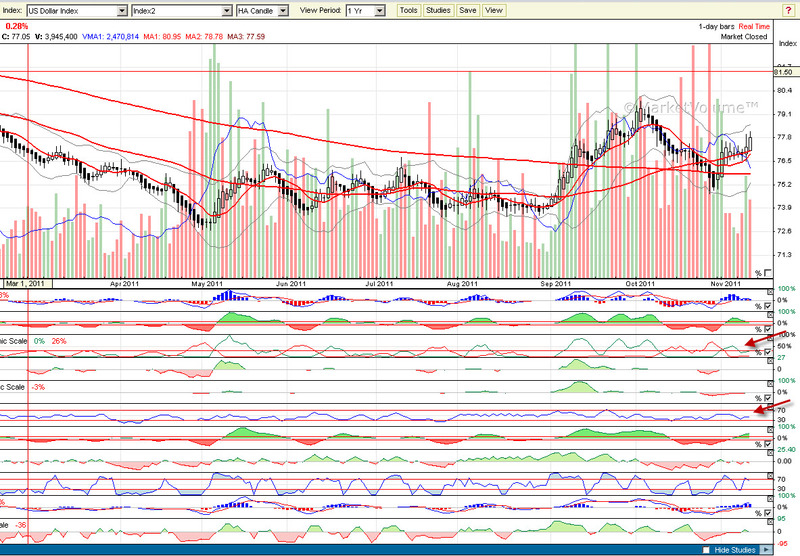 On the same time, it may happen that the $ cannot go over 79, so we may stay in a range. Now, we go back to our main decision: is this the time to buy, because nobody wants to buy or is it time to sell? 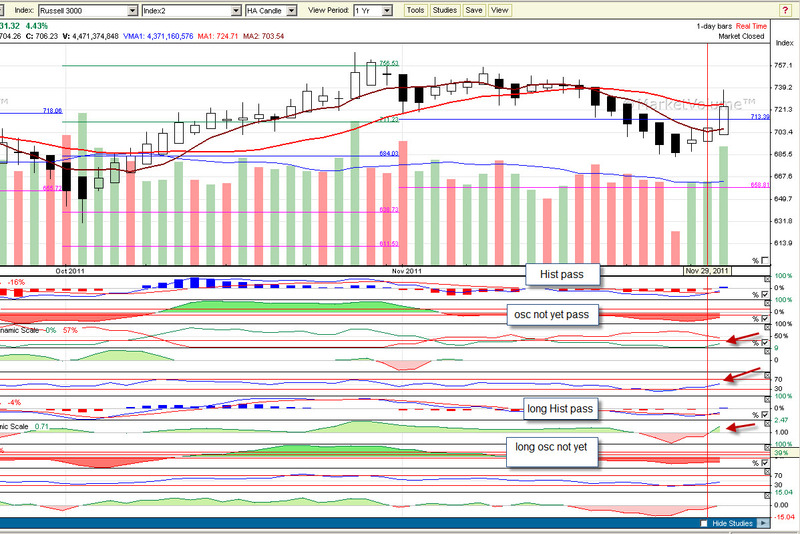 The above chart is spx daily with ichimoku cloud. If you do not know about ichimoku, this is another thing to learn. Now for levels you can use MAs or fibonacci. Anything is good , if you do your own analysis. 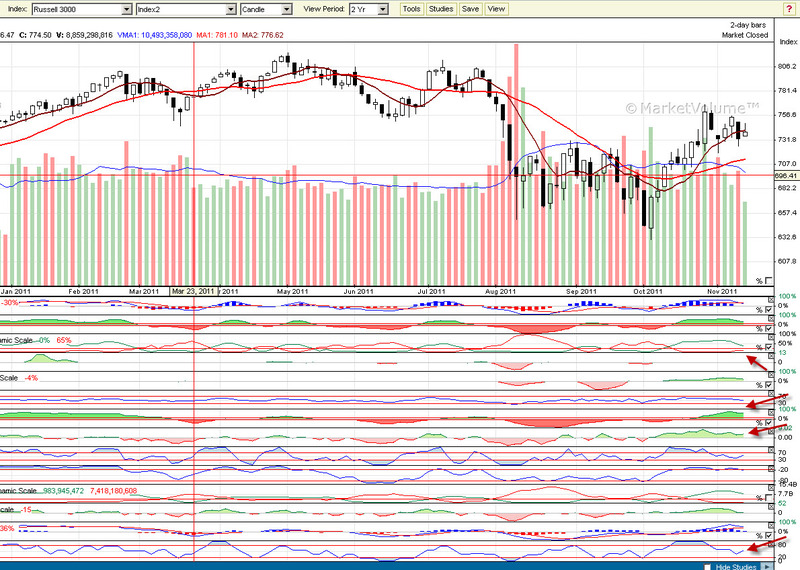 we see under 1225 spx, the presure starts to accumulate on the downside. Where was the low in the last 2 days ? 1225 on spx. The red side on the ichimoku shows the huge pressure on the downside once the price will go under 1225. So, in the end now is it time to do position or trading or risk management and trim some of the positions if you are long in the stock market. My take is that the market is not safe , and unless you know how to deal with risk, market is unsafe for stocks. For gold and miners, it is still a bull. In my personal positions, I trimmed the miners this morning and I still have gold and miners. Let’s say I trimmed 35% overall. Are you greedy or fearful? and why? Is there a train you are afraid to lose? What is your weakness and/or quality when you look at the market? If you go on a trading forum, I hope you don’t do that until you are ready, can you tell who knows what they are doing and who does not? Buy low and sell high, LOL…. But if you think about the 200 MA on spx to get long and you did today, there is a level that was not tested, 1250 on SPX. Which means that even if we have strength tomorrow (for some reason I think we dont) , then think about 1250 level that need to be tested to have a few days of bull or a few days of correction in a bear market. We may have a small rally before or after we test the 1250 on spx, but the 1250 level will be tested somehow…. 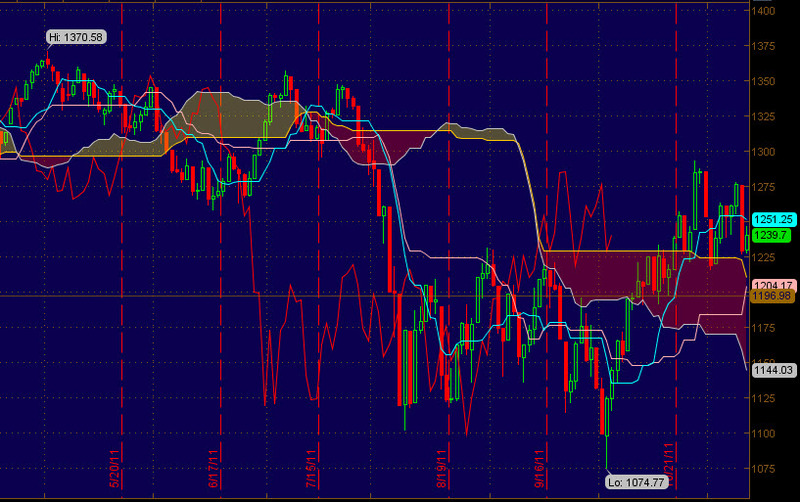 Levels to watch are 1250 and 1240 on SPX, these are Ichimoku based. Following the history, we should have a bounce coming from these levels. Remember Salad warning, this is a bear market and unless you know what you are doing, risk management is king. So based on the USD 1D and 2 D we can say that for about 3 days, until the 2D can do a bull cross, the $ may wait with the pressure on equities. So I expect a lateral or slightly down move for the $. 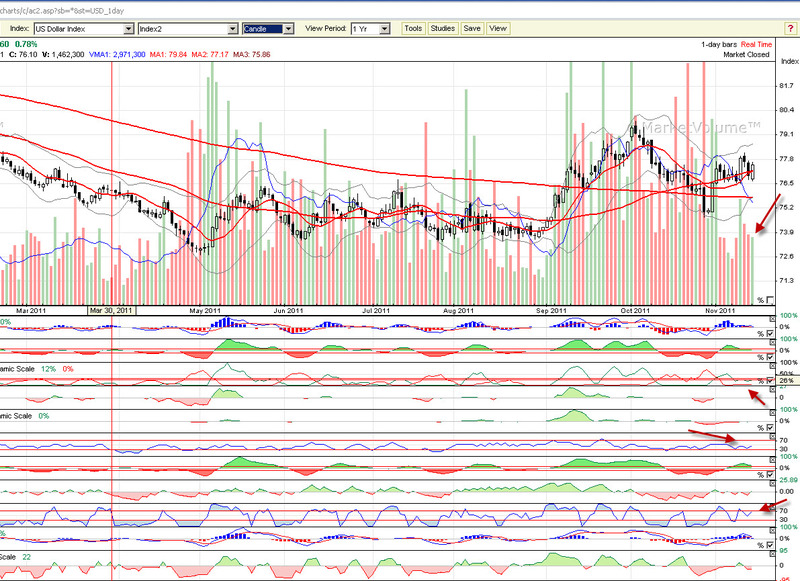 Based on 2D and 1D, we can say that the selling is still very powerfull, but a correction is close. How big? Maybe about 2-3 days. I’ll say that by Thursday whoever is long from today needs to verify if long is still a good play. I mean we can always correct with time, dont ever forget this. and fibonnaci retracements, I will say a good target to load a short, a small short position, if the sell volume stays elevated, will be 1295-1298 on SPX, up to 1311. If no experience, like me, and you want to load a short, please think about going only with a 1X , dont go with 2x or 3x unless you react fast to changes and you know how to deal with short positions. 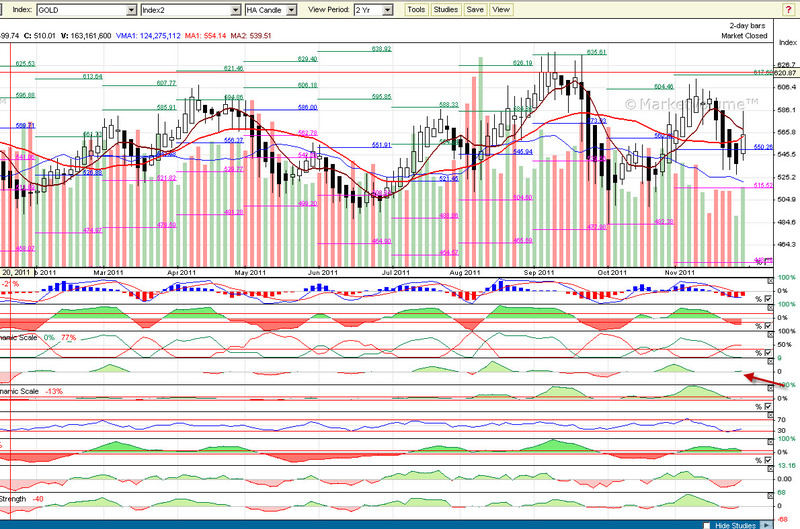 If we go to 1295 on spx, I will load a 1x short, RWM only a unit, just to be able to verify the analysis. We need to look at the $ move during the correction to the upside. One thing to do, is to look for stocks that dont fall too much or are just correcting a little compared with the market indices. Take note, these may be the leaders when the bull returns. Line in the sand crossed, is this bullish? 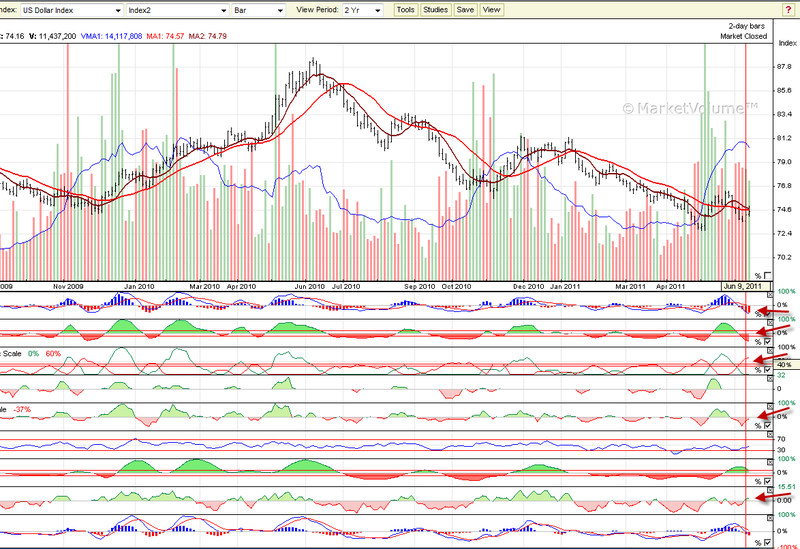 The USD 2D charts is bearish as well. (not shown here). So based on the $, we are close to support and resistance for stock market and $. Maybe that’s why gold is acting like it does not know what to do. 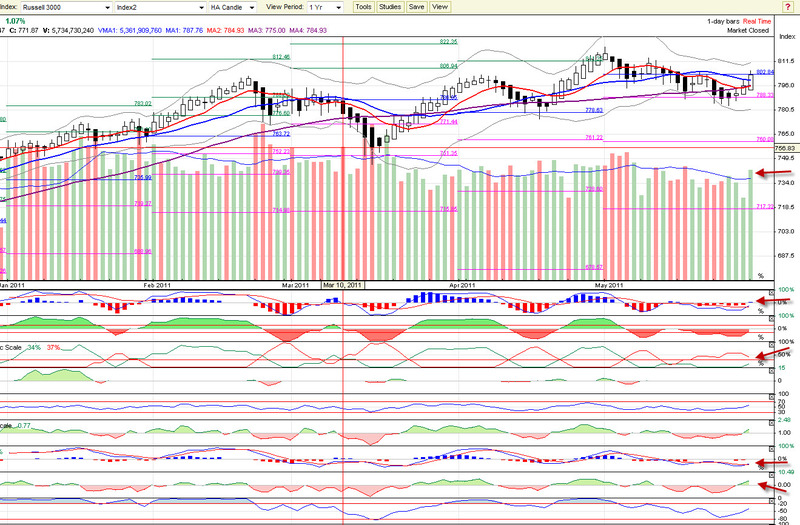 Except osc, all indicators are bullish on 1D (the osc , it may turn green tomorrow). We are approaching a second time a big time support / resistance levels for $. The bearish USD volume indicators and RUA 1D indicators pushes us in bullish territory. 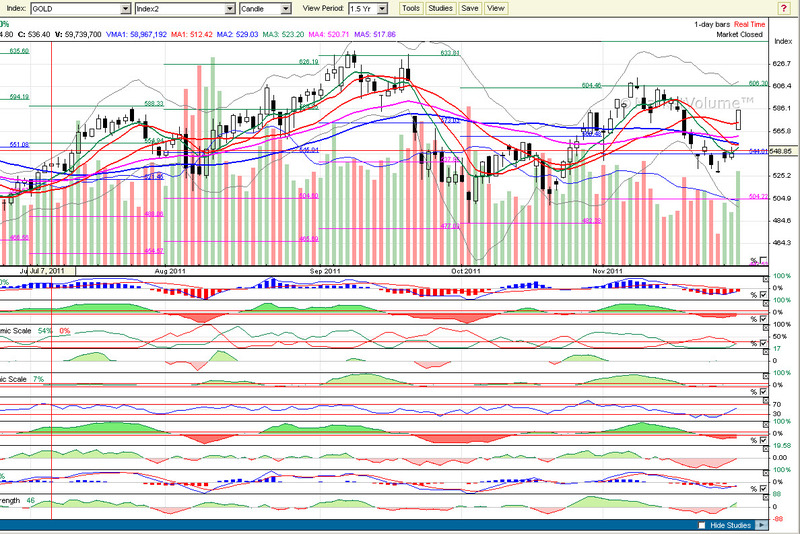 Based on this I will take a position in IWM or QQQ tomorrow. 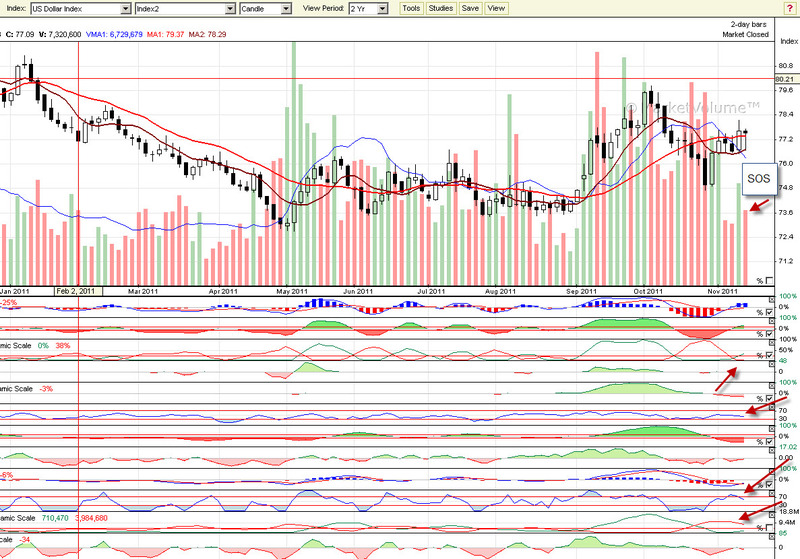 One unit; if the sell volume goes to O, then I will take 2 units. I took a small short on IWM on Friday that I closed for break even today. Once that TL was crossed and the price did not turned back it was obvious that short was not the good direction. The financials are acting bullish but on small volumes. The $ S/R, the volumes on financials and the lower L/H on financials makes this bullish trend to look like it is on shaky ground. I try to take one day at a time and to take the signals as I see and understand them. Confused? bear / bull, where is the line in the sand? Still bearish, but money has to move somewhere, but where? May2 – end of Silver rally?